As featured in AA's 101 Must-Do's, situated just 25 minutes north of Taupo and 45 minutes south of Rotorua nestled on the shores of Lake Ohakuri lies 'The Hidden Valley' of Orakei Korako Cave and Thermal Park. 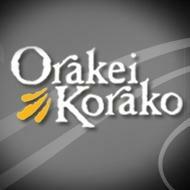 Orakei Korako translated means 'The Place of Adorning'. Wander through a valley of unbelievable colour, of bubbling hot springs, gushing geysers and unimaginable natural beauty preserved by its isolation from the outside world. Scenes from the Natural History Series "Walking with Dinosaurs" were filmed at Orakei Korako. Ruatapu Cave, one not to be missed, 120 feet down, a thermal mirror pool is situated at the bottom. Lonely Planet Travellers' Guide writes... "Orakei Korako is arguably the best thermal area left in New Zealand". Access to Orakei Korako is by boat, at no extra charge. Average sightseeing time is about 1 hour. Boats do not run to a timetable, so you may visit the valley as soon as you arrive if you wish. Hours of Operation: Open from 8am, last boat trip to the thermal area leaves 4.30pm in summer and 4pm in winter..